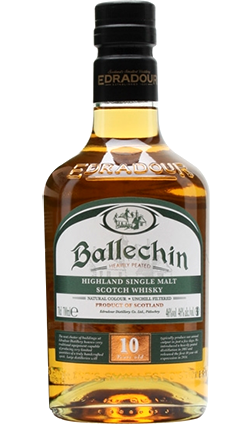 First released in summer 2014, Ballechin’s 10 Year Old is the first ongoing release for Edradour’s peated malt, after eight releases in The Discovery series. This is the core expression of 10 Year Old Ballechin single malt Scotch whisky, which is heavily peated whisky from Edradour. It has been named for the silent Ballechin distillery near the Edradour distillery. 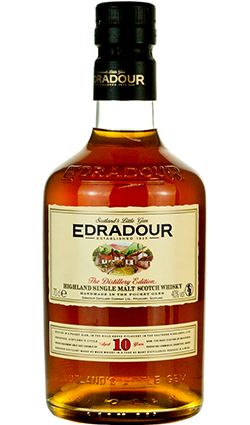 Releases under the Ballechin name from Edradour were previously presented as part of The Discovery Series, many of which were matured in different types of casks, including Sherry, bourbon and a selection of wine casks. This 10 Year Old expression, however, comes from a combination of ex-Oloroso Sherry and ex-Bourbon casks. 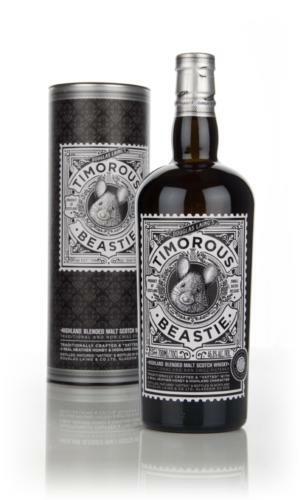 Nose: Woodsmoke, lime jam and a touch of brine – if I didn’t know this was made about as far from the sea as you can get in Scotland, then I’d reckon it was from the coast. Some dark-chocolate richness sits underneath a sweet-but-sour centre, with a linseed oil and malty top coat. 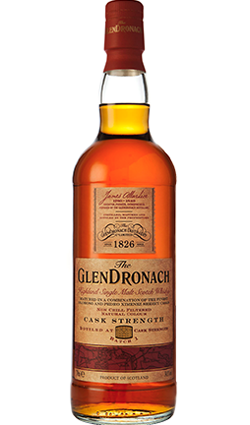 Palate: Soft, rounded and sweet to start, with a pleasantly oily mouthfeel and some cinnamon spice growing over time. 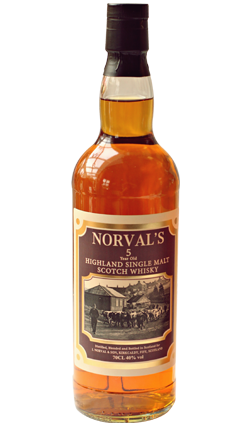 Chocolate limes, caramel and lemon cream make up the body, with more oak, grass and burning hay building to bonfire-like proportions. Finish: Medium/long, with grassy peat smoke, citrus peel, dark chocolate, liquorice and lingering earthiness. Comment: I wasn’t sure what to expect, but this definitely hits the spot. Young and fresh, but with a nice weight behind from the sherry casks in the mix. Spicy, smoky and zesty.